“Cloud?” asked Penn Manor senior Jade Hess. Not quite. It’s called Klout. 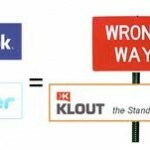 Klout is a social network that assigns people a score based on how influential they are on the social Web. 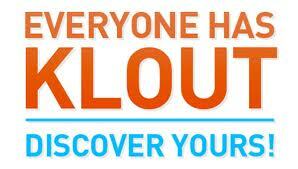 Klout collects its information about people from public sources such as Facebook and Twitter. It asks 2 questions: How many people influence you? And, how much do you influence them? Your score on Klout ranges from 1 to 100, and is relative to other peoples’ internet influence. For example, your friends on any social website will affect your internet influence and vice-versa. 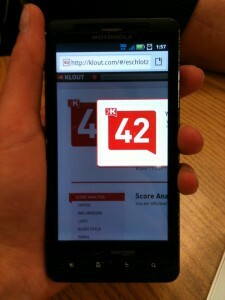 Eric Schlotzhauer experiencing Klout. Photo Credit: Tim Harris. Monday November 14, Penn Manor senior, Eric Schlotzhauer created a Klout account. Schlotzhauer is very consumed with Facebook. His first score was 20. The next day when Schlotzhauer checked his score, it went down by 10 points. That score remained at a 10 for the following two days. “What does this mean?” asked Schlotzhauer. “Do I now have less power on the internet?” The answer to his question would be yes. The lower your score the less of an influence you as a single person have on the internet. After Schlotzhauer created a Twitter account his Klout score went up tremendously. His Klout score was 42. CNN mocks the social webiste by contradicting its purpose, “Is this number any less indicative of your actual online popularity than Klout’s scores? As far as you know, no.” On November 15, CNN.com said that Klout scores could possibly be labeled as “evil.” They figure that anyone could come up with a score rating your popularity on the internet by averaging the amount of people you’re connected with on all of your social web accounts. PennPoints Online decided to create a Klout account to experience the site. 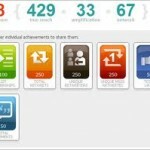 When PennPoints first started their Klout account, the score was 1, and in less than two minutes later the score raised to 10. 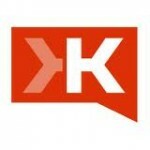 In order to connect with Klout you have the option to use your Twitter or Facebook account information just to create a login. That way the site is automatically connected to every linking account in your name. On the Klout homepage, it shows a large red bubble on the top let side of the screen that displays your latest Klout score. 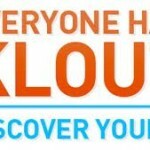 The site allows you to review your experiences on the website and invite other friends from other social wed accounts to join Klout. Klout does not allow you to post any pictures of yourself. However you are able to create, yet, another online profile that helps people to identify you. 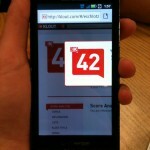 In the middle of the screen you have an image of a graph where Klout shows you what your score analysis is. Penn Points’ score has been at steady 10, so the graph shows a strait line. You can create lists and enroll yourself under different topics to help people find you. Bill Gates has only 76 as a Klout score, Justin Bieber has the full 100. Keep it up for doing articles in your blog author.